Did you know that this January was the second warmest globally on record? Probably not, considering the kind of winter we've had in Maine. 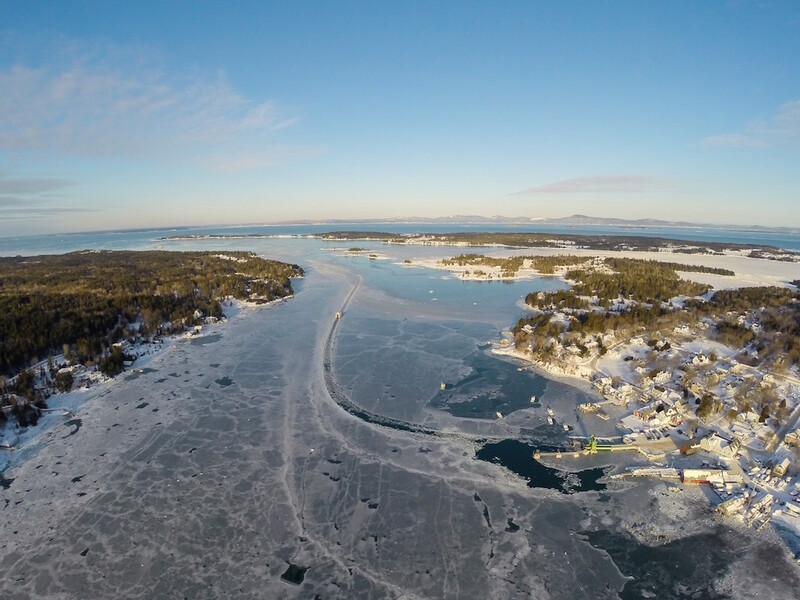 As always, though, Mainers havent let the cold weather slow them down too much (above is a picture of the ferry from North Haven). As we wait for spring, here are some recent updates of my work in Washington and Maine. 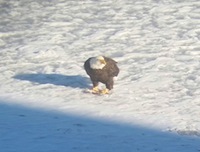 Here's another recent icy picture, of a bald eagle on the frozen harbor outside my Portland office. When I moved to Maine in the 70s, there were only 30 nesting pairs in the entire state, due to the disastrous effects of DDT. There are 630 today--a testament to the success of the Endangered Species Act. We need the act more than ever now for another iconic species threatened by the overuse of pesticides: the monarch butterfly. 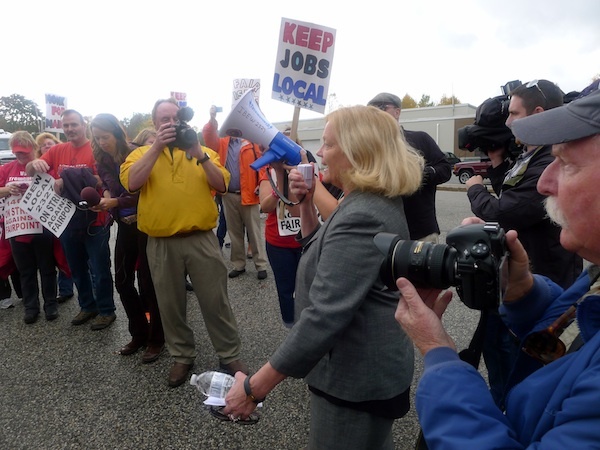 Im happy and relieved that Fairpoint workers were able to get back to work this week. Their strike for a fair contract lasted 130 days--and they were outside for every frigid day of it--before reaching an agreement with the company. Im so proud of these Maine men and women who stayed strong during some very difficult times so they could get a fair deal for their work. The Affordable Care Act is continuing to help more Americans access quality health care. When this years open enrollment period ended on February 15, more than 11.4 million people across the country had signed up for health insurance coverage through the federal Marketplace--up from 8 million last year. About 75,000 of those folks are from Maine, a 50 percent increase from 2014. All told, about 53 percent of eligible Mainers got covered through the Marketplace, the fourth highest rate per capita in the nation. While Im very pleased that so many Mainers have found coverage, I still wish the state would take the opportunity to further cut our uninsured rate by accepting federal funds to expand Medicaid. Even though the open enrollment period has closed, some Mainers still have the opportunity to get coverage. For those who have to pay a penalty on their 2014 taxes for not having insurance, some may qualify for a special enrollment period from March 15 to April 30 to avoid another penalty for 2015. Go here for more information. 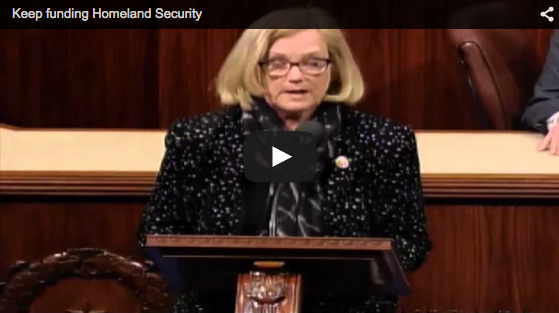 Youve probably heard about the latest manufactured crisis in Washington. This one threatens a shutdown for the Department of Homeland Security, which oversees the Coast Guard, Border Patrol, TSA, FEMA, and other agencies. Congressional leaders have attached a number of immigration amendments that has made its passage unlikely. I took to the floor this week to push leadership to give us a clean bill to pass and end the gridlock before it causes real harm to the safety of our country. Maine is home to one of the oldest (and most gracious) federal employees in the country. 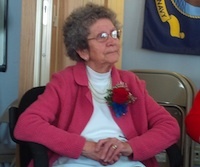 Peggy Gierie, whos worked as a receptionist at the Sanford Vets Center for several years now, turned 90 this week. This remarkable woman is a veteran herself, serving during WWII in the WAVES, a womens division of the Navy. You can read more about her inspiring story here. Happy birthday, Peggy, and thank you for your service!